Wait. . . Sin?! What are you doing here?? 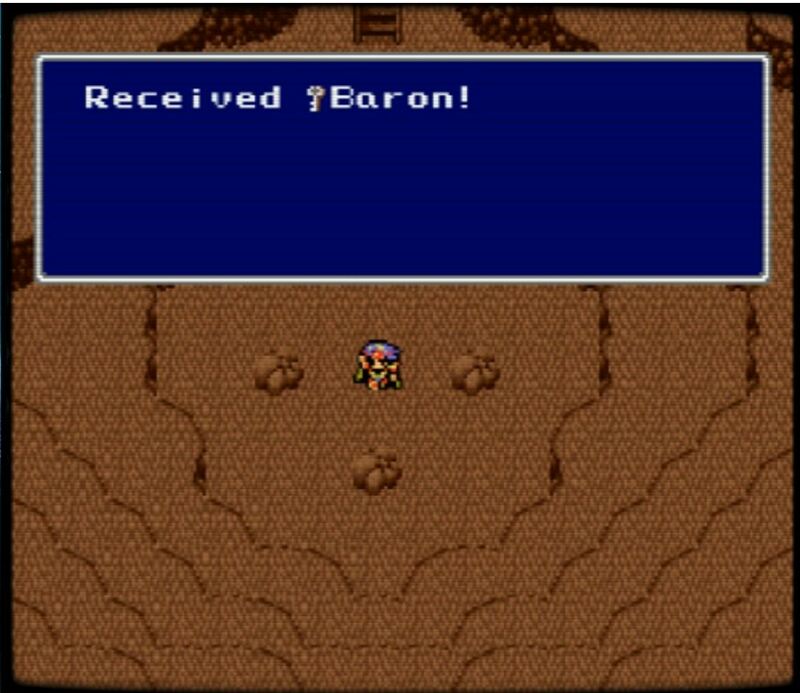 Final Fantasy IV is one of the two reasons I’m here writing this today. That is the game that made me want to be a games journalist, and actually getting to this point is thanks to the Simulated RTK forums. But Final Fantasy IV is easily one of my favorite games of all time, and over the past year or so, my stance on Speedrunning has really changed, mostly thanks to RPG Limit Break, and the fine folks behind it (Puwexil, Brossentia, Essentia, everyone else. That would take way too long). 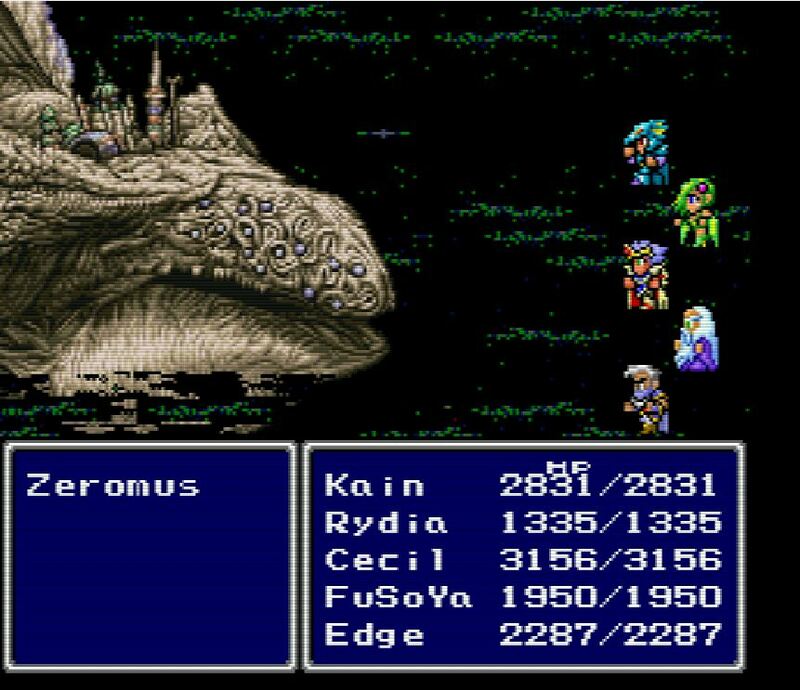 We’ve also discussed the nature of randomizers here in this column, but as the months passed, I was desperate to find a Final Fantasy IV randomizer that worked for me. I found one, thanks to RPG Limit Break and Games Done Quick – Final Fantasy IV: Free Enterprise. From what I understand, B0ardface and Riversmccown are the two minds behind it, and the way it works is pretty simple. And what’s better than having the Ultimate Evil, Zeromus, showing up as Sin, or Dr. Eggman? Nothing, that’s what. You can see the flags, and starting character (and me) here. Through a series of flags and conditions, you play Final Fantasy IV, but you start off with the Enterprise Airship and two random characters. You’ll also receive a random Key Item from a list that exists in the game. 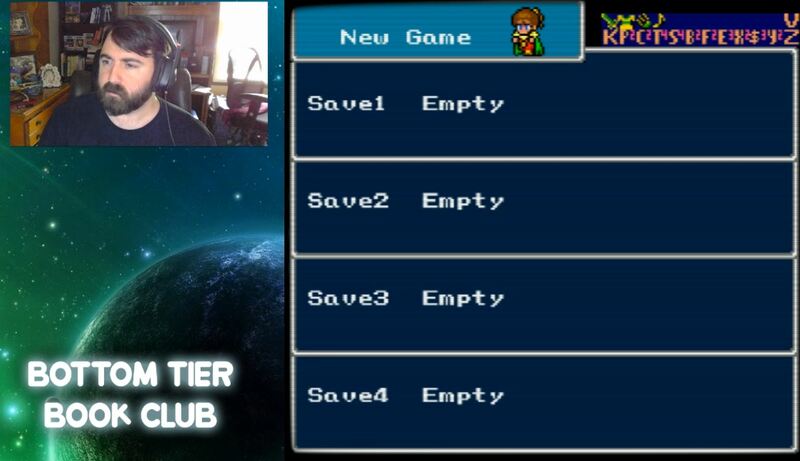 Now Final Fantasy IV is an open-world randomizer, where everything from the boss locations, characters, items, key items, and shops can be randomized between Overworld, Underworld, and the Moon! There’s always a path to get where you need to go, and it becomes a matter of “How well do you know Final Fantasy IV” and “What is the best path to the end of the game?” and I happen to think it’s fantastic. Though one of the things I think is fascinating is that you don’t need to have a perfect awareness of what goes down in Final Fantasy IV in order to have fun because everything that’s important is shuffled about. But it does help to know what key item leads to what, what characters are useful for what, potential glitches and tricks (unless you have those turned off), because you can’t beat the game without at least the Crystal, and either the Dark Crystal, or the Pass (which instead of taking you to a club, takes you directly to the final boss, Zeromus). So you want to figure out what route is most important to you, what potential characters you want on your team, which for me, largely depends on what item drops I get. Like, if I get Adamant Armor and the Crystal Sword? I will do everything in my power to get Cecil, finish the Mount Ordeals quest to get him turned into a Paladin, and have a tank that does incredible amounts of damage (and have an agility anchor). But there are some things that I’ve learned about it since starting it about a month or so ago. If you’re going for speed, it’s all about being as thorough as possible; you want the easy Key Items as quickly as you can get them, to build a decent team, and have a way to level grind. If you’re using the Japanese items/flags, one of the fastest ways (or at least easiest) is to stock up on the “Siren” item, which guarantees you get the rarest encounter for the area you’re in. From there, you get access to the Underworld and fly to the Western-most part of the map. There’s a tiny bit of land you can drop the airship on, which always gives an “Egg” fight. You can kill the Egg in one hit without it hatching, and get the full exp for the counter. It’s much faster, arguably than getting into the Giant of Babil, and doing the D. Machine grind. This one was surprisingly easy. I was in no way interested in trying speedrunning until I started playing this game. The community is incredibly welcoming (the Discord is found here) and they also do weekly runs with particular flags, and a leaderboard that you input your time onto (a real timer time, not the in-game time), but you aren’t allowed to talk about the run on a public channel (a private channel pops up), and each of these are different. This creates a new, fun challenge for me, which I try to run once a week, on the stream if I have the time to (over at Bottom Tier). They also have a League! 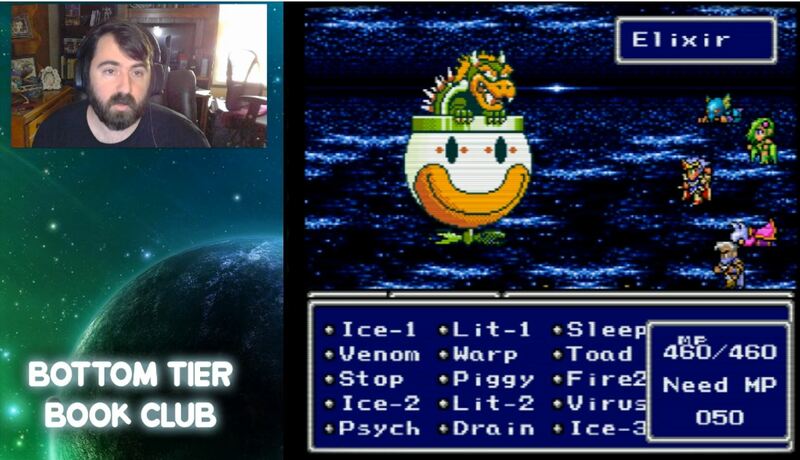 Where weekly races are run, to see who is the best, but I can’t imagine anyone beating the top Final Fantasy IV speedrunners that take part, it’s still incredibly fun to challenge oneself. I sincerely enjoy doing this, and to everyone that took part in its creation, I’m eternally grateful. It has made my life immeasurably better, simply by it being around. That might be an odd thing to say, but I stand by it. It’s helped me feel a little better mentally, having that constant new way to approach something I already love, and plus, it’s honestly just a lot of fun. It’s a great community, I’ve met some wonderful people and re-met some people I already knew and I do highly encourage people interested in RPG randomizers to give it a try, right here. I cannot stress enough how good this is, and fans of retro RPGs and randomizers alike need to give it a try. Thank you, B0ardface and Riversmccown for putting up with all of my dumb questions and queries. It’s a lovely community, and I’m glad to be a part of it.